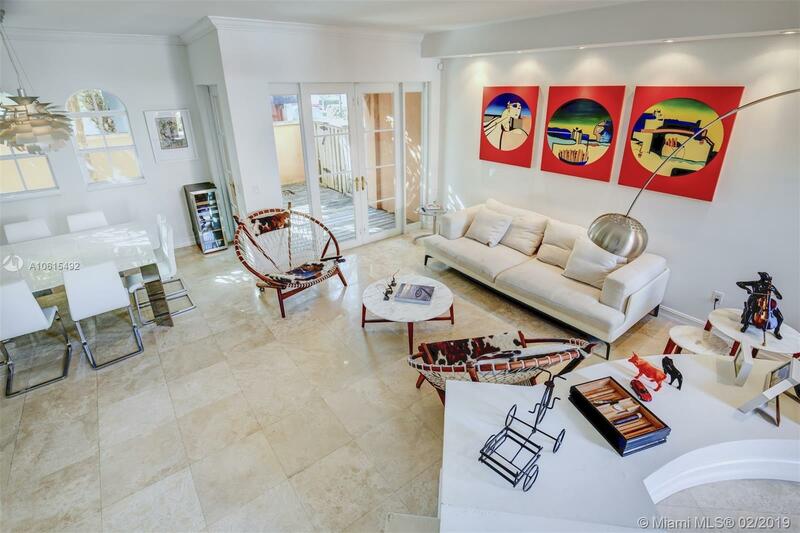 Beautiful Mediterranean style corner Townhome in Aventura Bay. Property features 2 stories, marble floors, Calif closets in all rooms, lots of natural light. Eat-in euro kitchen with granite counters. High ceilings, spacious walk-in closet & blackout curtains in all 3 bedrooms. All marble master bath with double vanities, private wooden deck backyard. Community features exquisite Mediterranean architecture. 24hr guardhouse, gym, pool, exterior maintenance. 'A'' grade schools include Waterways, Charter Aces. Minutes to JCC & Hillel, beaches and Aventura mall.